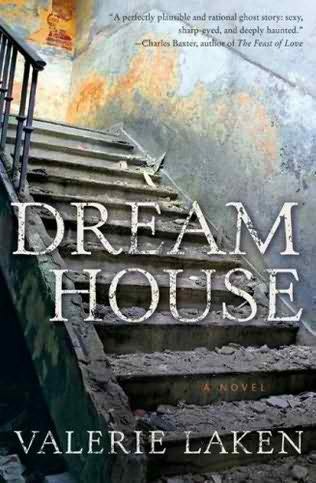 Dream House is Valerie Laken's debut novel about a young married couple named Kate and Stuart who buy a run-down house desperately in need of serious repairs and renovation. When Kate learns that the house was the scene of a violent crime years ago and she meets a strange man who has been lurking around in the neighborhood, unforseeable relationships are formed and dark secrets about the house are eventually revealed. Dream House is incredibly moving, and the best feature of the novel is Valerie Laken's talent and ability to paint such a vivid picture of the house's life over the years. Not only will readers brightly visualize the physical aspects of the house, but even memories and scents described in the novel are also easily transposed through Laken's writing. The mystery behind the house's history is haunting and intriguing, and you'll have a hard time putting this novel down! In addition to enjoying how the house is brought alive in Dream House , I also like the sub-plot regarding Kate and Stuart's marriage problems. Laken offers different takes on the story from both Kate and Stuart's point of view, and Kate's character accurately displays an uptight demeanor, which is crucial to the overall plot development of Dream House . I regret to say that the climax of Dream House is what makes the novel less stellar than I expected it to be. The demise of the house is a total cliche, but I'll stop from saying anything further to prevent there from being spoilers. Valerie Laken has plans to release a collection of stories called Separate Kingdoms in April 2011.